Worldwide relations and cooperation minister Lindiwe Sisulu has appealed to South African NGOs, companies and individuals to make donations towards humanitarian aid for the people of Malawi, Zimbabwe and Mozambique affected by Tropical Cyclone Idai. Tens of thousands of people, primarily in impoverished rural areas, have been cut off from roads and telephones. Cyclone Idai has affected more than 1.5 million people in Malawi, Mozambique and Zimbabwe, according to the United Nations and government officials. Most of the deaths occurred in Beira - a port hub and capital of Sofala province - a city which has virtually been cut off after power lines crashed, the airport was shut and roads swamped by flooding. Soldiers on Sunday helped rescue almost 200 pupils, teachers and staff who had been trapped at the school in Chimanimani. President Emmerson Mnangagwa has since declared the tragedy caused by Tropical Cyclone Idai a state of disaster. Cyclone Idai is predicted to be the strongest to make landfall in Mozambique since Eline. The storm then moved west into Malawi and Zimbabwe. He says they died after a boulder rolled into their dormitory. No tourist deaths were recorded, said government spokesman Nick Mangwana. "We urge patience as rescue is on its way", Zimbabwe's information ministry said in a tweet. Mozambique's President Filipe Nyusi said the damage is "very worrisome" and said that the flooding made it hard for aircraft to land and carry out rescue operations, according to Mozambique's state radio. 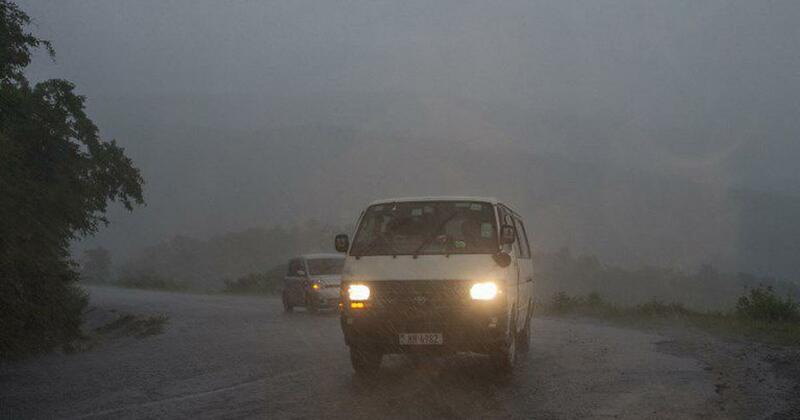 Heavy downpours in neighbouring Malawi this week have affected nearly a million people and claimed 56 lives there, according to the latest government toll.